ISHPEMING — It’s been said that clutch players step up at the biggest times and that’s what Westwood guard Tessa Leece did Tuesday night. After Menominee made a big run to take the lead in the fourth quarter, Leece took control and tied the game late from the free throw line. With the help of Leece’s 33 points, the Patriots prevailed over the Maroons 65-60 in overtime. Madi Koski chipped in 15 points for Westwood and Ellie Miller had 10. 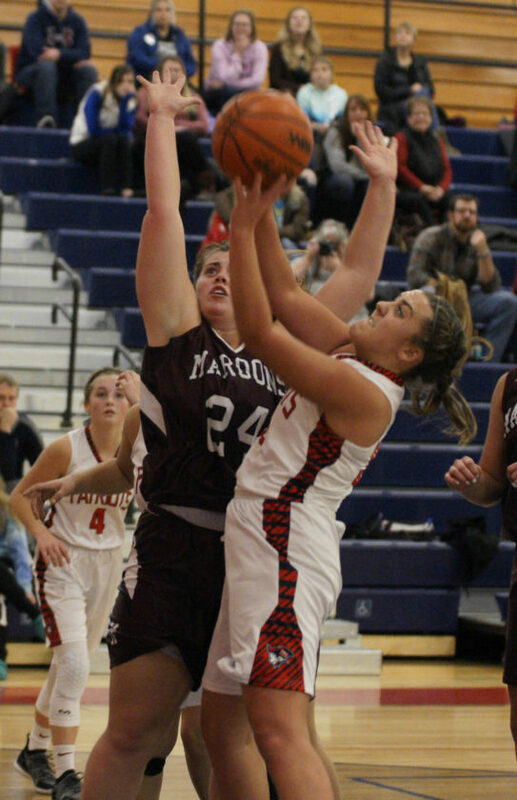 Menominee held a slim 18-17 lead, but Westwood rallied to take a 29-25 advantage into the half. 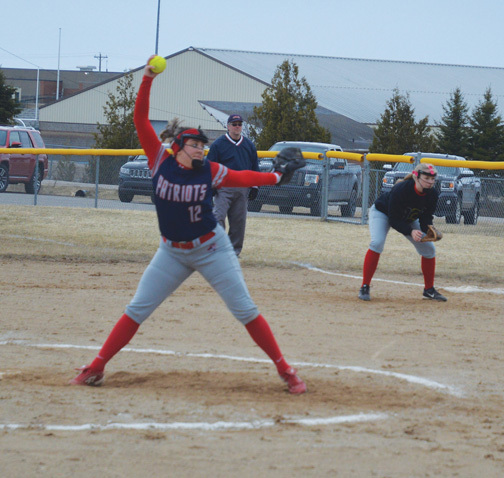 The Patriots maintained a six-point lead heading into the fourth at 48-42 before the Maroons went on their early run and helped set the stage for the exciting conclusion. Westwood hosts L’Anse Thursday night. At Negaunee, junior guard Chloe Norman and senior forward Abby Nelson combined for a 33 point night to send the Miners passed the Eskymos in their first game of the season. Negaunee head coach Brandon Sager said his team had a rough start but finished strong. “We were a bit sloppy at first but that’s why we watch film and we tightened up the things we needed,” he said. 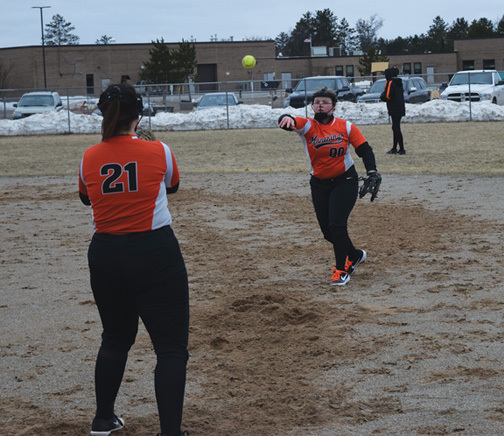 “Escanaba is a scrappy and athletic team and we needed to make adjustments. We kind of fought from behind for the first part of the game. The Miners held a 15-11 lead after one quarter and a 35-22 lead at halftime. Negaunee managed to maintain that lead, outscoring the Eskymos 22-17 in the final two quarters. Negaunee went 19 of 52 from the field and 14 of 24 at the free throw line. The Miners collected 46 rebounds with Nelson grabbing 13 and Norman nine. Negaunee also won the JV contest 40-27. The Miners travel to Houghton on Thursday. At Green Bay, senior center Marius Grazulis put up 28 points and collected 19 rebounds in a losing effort for the Redmen (2-1). MSHS head coach Brad Nelson said: “They had a couple of buckets in transition which kind of amped their energy on the defensive end,” he said. “We didn’t take care of the ball really well. Preble had a 10 or 14 point run midway through the second half. We nipped away at it but turnovers were the biggest thing. With high schools in Wisconsin playing under two 18-minute halves, the Redmen found themselves tied with the Hornets 33-33 after the first frame. Marquette hung tough before Preble used a third quarter run to pull away for the victory. Senior guard Raffy Millado added 13 points while fellow senior guard Bryce Brazeau had nine. Marquette travels to Gladstone Tuesday. 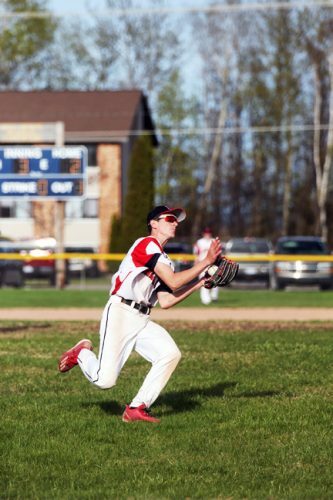 At Ishpeming, the Hematites lost a heartbreaker in their season opener versus the visiting Braves on Tuesday night. Ishpeming took a 21-16 lead after one and a 36-27 lead into the locker room at halftime. 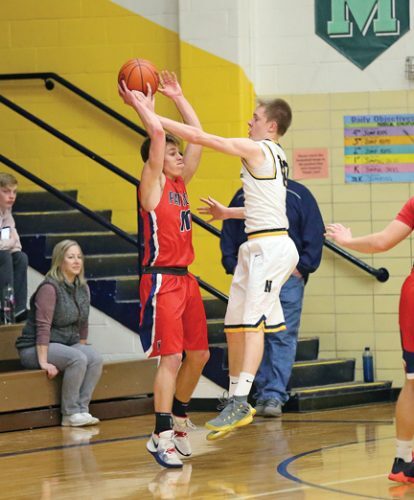 The difference in the game appeared to come in the third with the Braves outscoring the Hematites 14-8 to pull within three entering the final eight minutes at 44-41. The Braves again outscored the Hematites in the fourth 21-17, which happened to be the difference maker in the one-point win. Junior Jacob Kugler led the Hematites with 20 points while senior forward Darius Yohe added 16 and senior guard Gavin Sundberg 15. Ishpeming travels to Westwood on Friday. 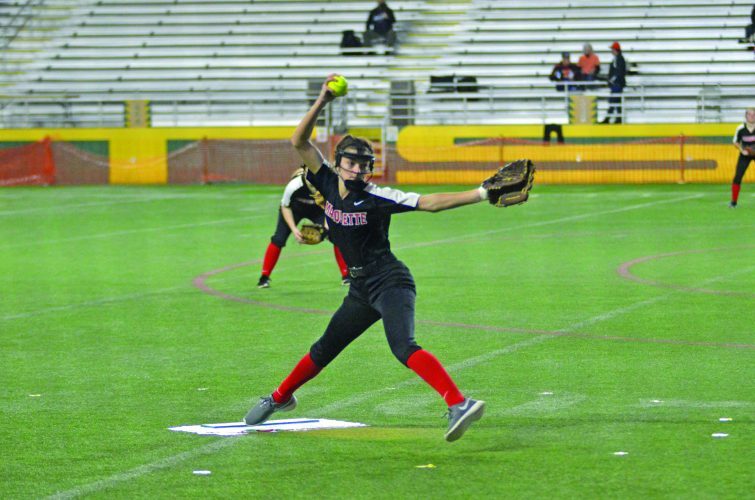 Information compiled by Journal Sports Writers Ryan Spitza and Ryan Stieg. Email Spitza at sports@miningjournal.net. Stieg can be reached at 906-228-2500 ext. 252. His email address is rstieg@miningjournal.net.